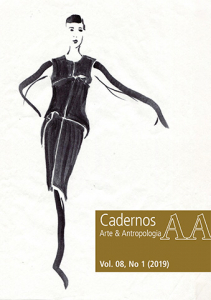 Cadernos de Arte e Antropologia (Journal of Art & Anthropology) is continually receiving contributions for its sections Articles, Essays, (Audio)visual essays, Ethno-arts, Field diaries and Review essays. Further information can be found on the Author Guidelines and Section Policies pages of the Journal. Dossiê "Moda: cultura material, modos de vestir e de se apresentar"
Anthropology & Image: What is particular in Brazilian Visual Anthropology?